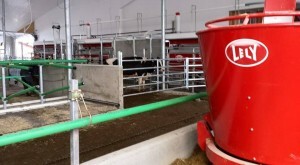 Lely will demonstrate the Astronaut A4 robotic milking system and the Lely Vector automatic feeding system at Canada’s Outdoor Farm Show next week. We invite you to see daily live feeding demonstrations in the Britespan Dairy Innovation Centre. 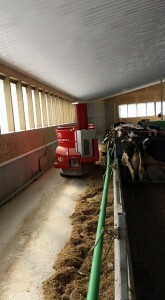 The Lely Vector will be mixing and distributing feed to the Lely herd throughout the entire show. More dairy producers spanning across Canada and the United States are seeing the value of having a Lely Vector. Earlier this year the Doornenbal family of Ponoka, Alberta Canada began operating a new dairy that features three Lely robots as well as a Lely Vector automatic feeding system.